A police watchdog has launched a probe after a Taser was used on a 20-year-old man in Bannockburn. 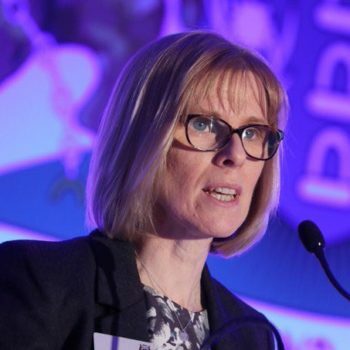 The Police Investigations and Review Commissioner (PIRC) confirmed they would be looking into the circumstances surrounding the incident which took place on March 29. Officers were called to an address in the Forth Valley area following reports of concern for a person at around about 11.45pm. No one was injured following the incident and the 20-year-old man was arrested at the scene. 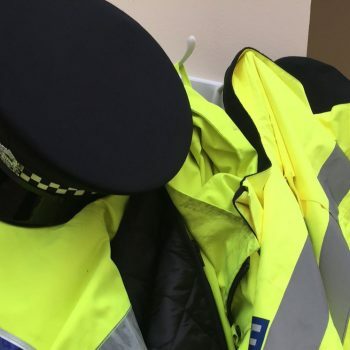 A Police Scotland spokesman said: “Police in Forth Valley were called to an address in Bannockburn at around 11.45pm on Friday 29 March following a report of concern for a person. “Officers attended and whilst bringing the incident to a safe conclusion, a Taser was discharged. No-one was injured as a result. “A 20-year-old man was arrested at the scene and inquiries remain ongoing. 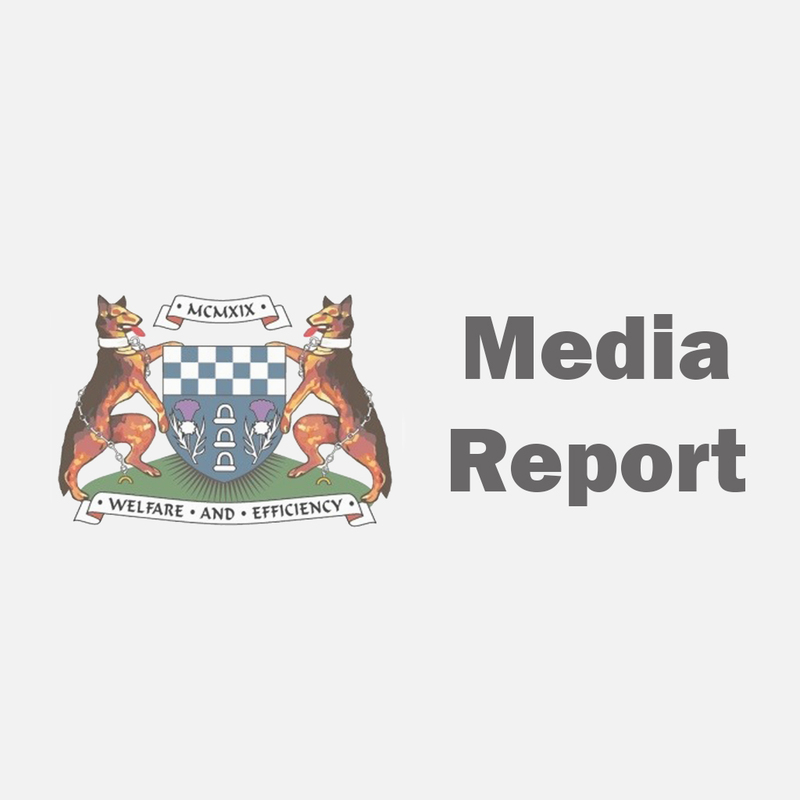 A spokesperson for the PIRC’s Investigation Team said: “We are investigating a police officer’s use of a conductive energy device, known as Taser, at a 20-year-old man in Bannockburn on Friday 29 March 2019. 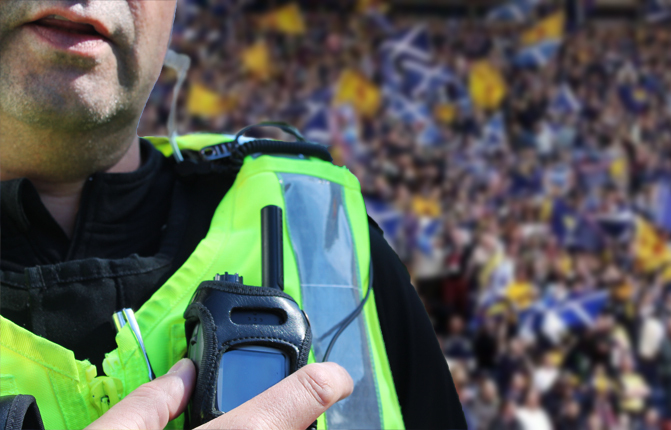 Police Scotland’s use of Tasers on suspects has risen by 400% in three years, according to the latest figures. They were used on members of the public 65 times during a 12-month period up until March 2018. A total of 27 incidents involving the weapons were recorded the previous year and on 13 occasions in 2016. 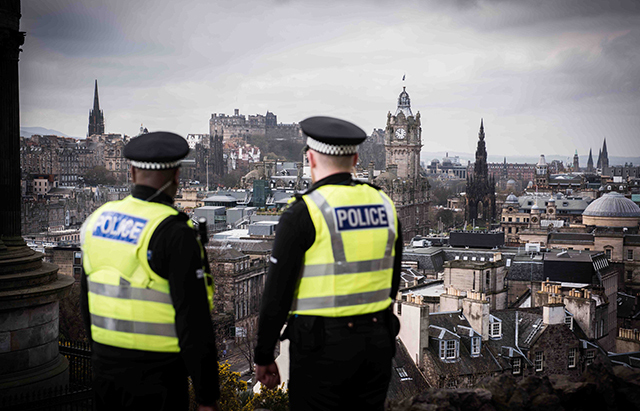 Police Scotland is training an extra 520 officers to use the devices whilst the Scottish Police Federation wants to see all officers equipped with them. A Scots police officer has been left seriously injured after being mowed down by an off-road bike in West Lothian. The 51-year-old constable, who was on a single crew patrol, was called to the Ryebank area of Livingston at around 1.40pm on Wednesday when the collision occurred. 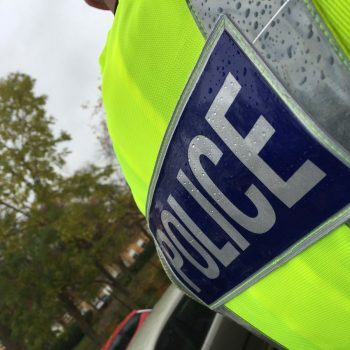 It is understood the officer was responding to a complaint about anti-social behaviour involving a motorbike in the area shortly before the incident unfolded. The male officer was initially taken to St John’s Hospital before being diverted to Forth Valley Royal Hospital in Larbert where he remained yesterday. It is understood that the PC has suffered extensive damage to his knee and tibia bone in his leg which will require him to undergo surgery. A police source revealed his brave colleague may now face having to undergo knee replacement surgery in the future due to the extent of the damage. 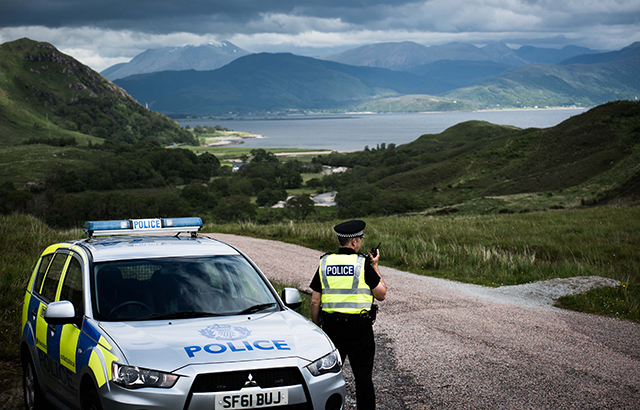 Police Scotland yesterday confirmed they have arrested and charged an 18-year-old man with various road traffic offences. The police chief added that officers would continue to monitor and tackle reports of anti-social behaviour in the coming weeks and months. Former police superintendent Ken Pennington believes the potential implementation of a hard border may be used as a “narrative” by terrorists. The 50-year-old, who served in Northern Ireland for more than 30 years, also voiced concern that an increased media presence could be used as a platform to spread their message around the world. 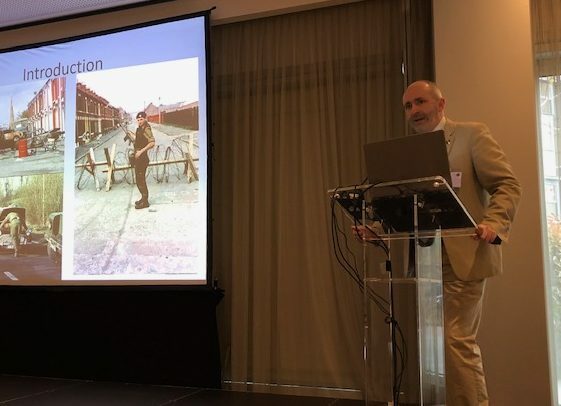 Speaking at a European Confederation of Police conference in Madrid, Mr Pennington said: “For over 18 months, there’s been building political community protest around the subject of Brexit, especially in the border communities. “30,000 people cross the border daily travelling to work. Anything that interferes with that freedom of movement will be seen or thought of very harshly by the communities affected. “If you end up with a hard border and the disruption to the quality of life for people, that will be used as a narrative that Brexit is an English imposition on the people of Ireland. “That’s why I say it creates almost a recruiting poster and they would gain some support for them within communities. That narrative will be used to justify violence. “On the back of that, I think the publicity generated by an actual Brexit will be fuel to the fire. They will try and make the most of the enhanced media presence at that time. “Politics always happens in Northern Ireland and the Republic. I think people just need to continue to reject violence. We’re very fortunate that the two police forces in Ireland are very professional. Ken Pennington addressed the EuroCOP conference in Madrid. He cited a series of recent ATM robberies close to the border of the two countries which could be used as a revenue stream to buy weapons by dissidents. The expert also told how a mortar tube and command wire found by the PSNI on Monday in Castlewellan, County Down, may also be linked to a terror cell. He explained: “They (the terrorists) also have to get their weapons in place. They typically work in a cell structure. “There’ll be a cell that will store them in deep, purpose built bunkers. When they’re going to start a campaign, they move those for another team who pick it up. “The mortar that was found in Northern Ireland was probably in transit. 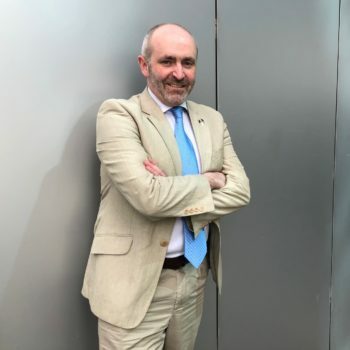 Calum Steele, general secretary for the Scottish Police Federation and second vice president of the EuroCOP executive committee, briefly addressed the conference on the impact of Brexit in Scotland. “Scotland needs migration. We need people to come in to work in our country. The avenue of Brexit could result in Scotland being a significant loser in terms of employment opportunities. “There are risks that we suffer an economic crash of such significance that the investment that is available to public services falls considerably. “We have not lost sight of the fact that we have to safeguard or look to safeguard the protections that are available for police officers. 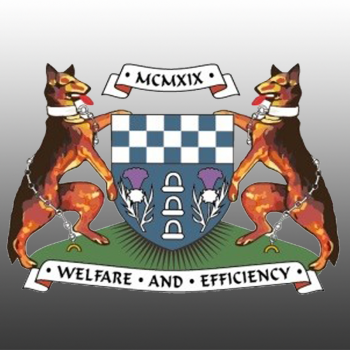 On Wednesday 27th March 2019 at the Scottish Police Federations 96th Annual Conference, Chair Andrea MacDonald addressed conference with the following speech. 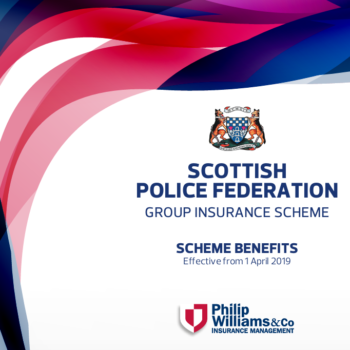 The new Group Insurance policies that take effect from 1st April 2019 are now available. Policies for serving officers are shown below. Retired officers can find details at the insurance section of the website. New Assistance Numbers and policy numbers have been added to the website too. Police Care UK is reducing the impact of harm on police and families and rebuilding lives for a brighter future. But they need volunteers to help them reach more people. 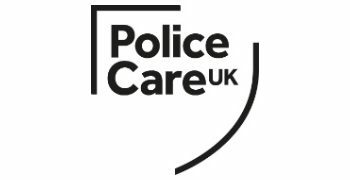 They offer practical, emotional, and financial support for those who suffer physical and psychological harm because of their policing role. They are looking for volunteers, who can help them spread the word about their services and grants, as well as provide local one-to-one support to those going to them for help. Full training and support will be provided, and once inducted volunteering times will be flexible ranging from 1 – 8 hours a month, depending on volunteer role. If you are interested, please check out their website or contact Volunteer@PoliceCare.org.uk for more details. A man who attempted to headbutt a police officer after being arrested for riding a motorcycle while more than double the drink drive limit has been jailed for four months. A man who attempted to headbutt a police officer after being arrested for riding a motorcycle while more than double the drink drive limit was yesterday jailed for four months.